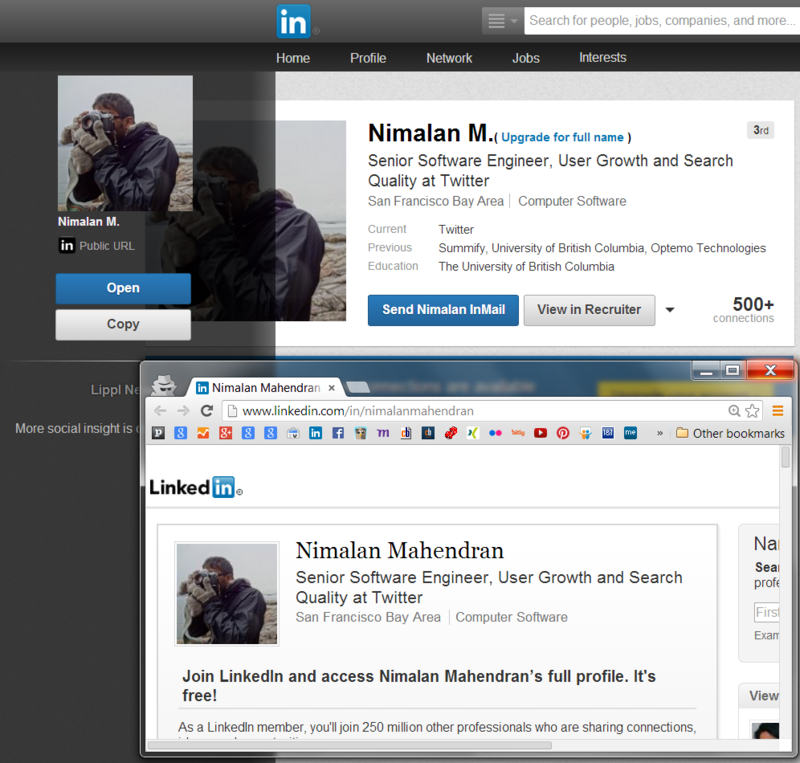 I am pleased to share a cool and very practical free Chrome extension that allows you to quickly and easily view the public profiles of LinkedIn members beyond your 2nd degree network, thus showing you their full name. Victor Soroka first shared Lippl with me back in January. I had the honor of meeting him while at LinkedIn’s Talent Connect 2012 in London and apparently Victor has been busy working on a great way to view the public profiles of practically anyone on LinkedIn. 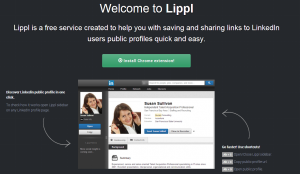 Once you’ve installed the Lippl Chrome extension, all you have to do is open the Lippl sidebar and click “open.” It works by automatically opening up the person’s public LinkedIn profile in a new Incognito window, so even if you’re logged into LinkedIn, LinkedIn can’t tell whether or not you “know” the person (within 1st or 2nd degree) – as such, you can see their full name. I’m happy to support Victor and his team, so if you haven’t already, please check out Lippl and contact the Lippl team with any questions, issues or suggestions.